Whether you’re a dog person, a cat person, or an all-around animal lover, the bond between pet and owner is a deep and rewarding one. In fact, scientists have found that a pet can even have measurable health benefits on its owners. To thank pets for all they do for us, there are a few simple actions that pet owners can take to keep them healthy. One of the most important is getting your pets spayed and neutered. Tomorrow is World Spay Day, so it’s the perfect time to set up your pet’s surgery. Researchers are always finding more evidence that animals can bring a variety of benefits to the people around them. Many dogs are utilized for their fantastic sense of smell and undergo training to detect anything from drugs to diseases to catastrophe survivors. In some cases, dogs trained to detect oncoming medical events are even more effective than medical monitoring equipment. Dogs are also trained as assistive animals with special skills to make life easier for their owners. Even untrained pets can have significant benefits. Animals in the home can improve mood, lower the risk for heart disease, increase socialization and activity level, and more. Spaying or neutering your pet will improve its health for life. In females, spaying reduces or eliminates the risk for mammary gland tumors, ovarian cancer, and uterine cancer. Neutering males eliminates the risk of testicular cancer and reduces the risk of prostate disease or cancer. On average, an altered dog will live one to three years longer than an unaltered dog. A cat that’s been altered will live an average of three to five years longer than an unaltered cat. Additionally, an unaltered pet is much more likely to wander away from home, which increases the risk of car accidents. Some surveys suggest that up to 85% of dogs hit by cars are unaltered. Males who haven’t been neutered are also much more likely to get into fights. Getting your pet fixed for World Spay Day will make your life easier, too. A big benefit to altering your pet is financial, since all the potential health risks of an unaltered pet are also potential vet bills. Also, if your female dog or cat ends up pregnant, there will be bills for vet appointments, extra food, supplies, and vaccinations for the new arrivals. You’ll likely end up spending as much as or more than the spay surgery would have cost, and unless you’re a professional breeder with a carefully-planned litter of future champions, you’ll be very lucky to sell the puppies or kittens for enough to come out ahead. A dog that’s focused on breeding is very likely to get aggressive toward whatever or whoever is in the way. 60% of people bitten by dogs are children, and unneutered male dogs are responsible for more than 90% of dog bites. Behaviors such as chewing, digging, and urinating inside can also be reduced by getting your dog spayed or neutered. Cats will become calmer and friendlier, and they might use the litterbox more reliably. Additionally, studies have shown that the multitude of behavioral improvements after spaying and neutering are true no matter the age of the animal. Also, the myth that having your pet spayed or neutered will make it fat is untrue. An animal’s weight is determined by how much it eats and exercises. The best way to keep your pet from getting plump is to closely monitor how much it eats, encourage daily activity like walks or playtime, and, if needed, switch to a low-fat food. Because of the serious overpopulation in animal shelters, spaying or neutering your pet can save lives. This means that by getting your pet spayed or neutered on World Spay Day, you could be saving thousands of lives. A tight budget doesn’t have to be a deterrent to getting your pet spayed or neutered. Getting your dog or cat altered will, in the long run, save you a lot of money, but that knowledge doesn’t make it any easier to shell out the cash for the surgery. If you’re looking for a new pet, consider adopting from an organization that spays and neuters its animals before adoption. All you have to do is pay the adoption fee. 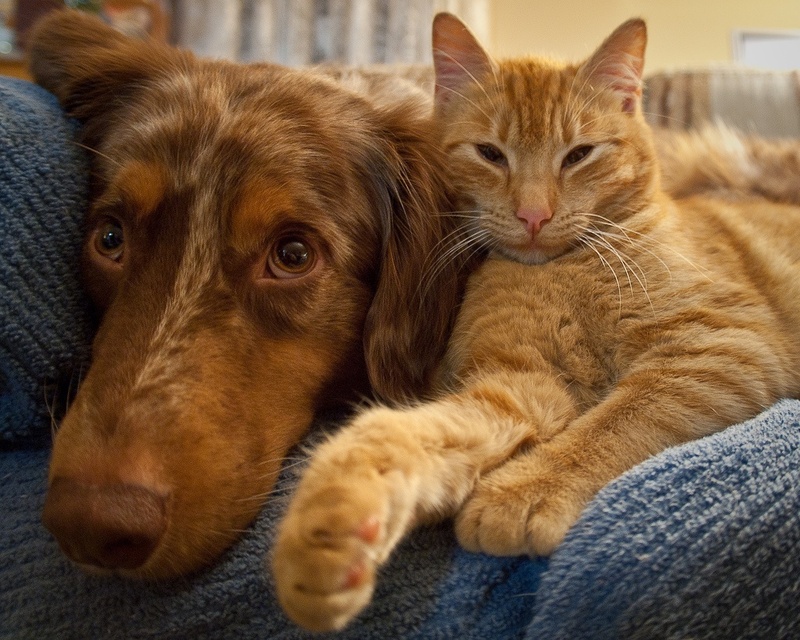 For your existing pets, there are many low-cost spay and neuter options. The easiest way to find these is to ask around. Your veterinarian might know about local organizations or charities, or he or she might be willing to work out a payment plan with you. Ask your local animal shelters and pet supply stores, too, since they’re usually up-to-date on local resources. You can also check out the website for the American Society for the Prevention of Cruelty to Animals (ASPCA). There’s a searchable database of local organizations, so you can find low-cost spay and neuter clinics near your zip code, as well as a list of resources for pet owners who need a helping hand. If you don’t have a pet, or if your pets are already spayed and neutered, please consider finding a local shelter or low-cost spay and neuter clinic and making a donation on World Spay Day. Have your pets been spayed and neutered?